A hundred dollars has disappeared from the cash register at Whit‘s End! Who took it? Was it Connie? Or Eugene?! Even worse, someone in Odyssey has lost her faith! Can Harlow Doyle, the new private investigator in town, help her find it? And what‘s the secret behind the skeleton found in a secret room at Whit‘s End? 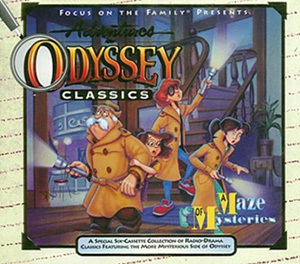 Find out whodunit in this special collection of Odyssey‘s most mysterious mysteries. Suspense, laughter, intrigue and life-changing lessons await you! Did you hear? A strange family moves into town, and the rumors about them fly thick and fast! Whit decides to do something about this little gossip problem - before it turns into a BIG problem! The discovery of a secret room in Whit's End leads Mr. Whittaker to a 50-year-old case of robbery and foul play! Join Whit and the gang for this exciting "who-done-it." Mr. Whittaker discovers several clues that help him solve a 50-year-old robbery and the mystery of the secret room in the basement at Whit's End. 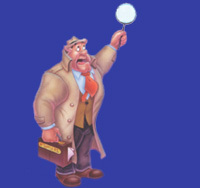 Find out "who-done-it" - and learn about the folly of greed! Jack and Oscar learn a different way to beat the heat - and boredom - when they meet a new friend. #102: The Treasure of LeMonde! Robyn and Connie find a hidden attic at Whit's End, and its discovery leads to an incredible mystery involving an old pipe organ, a greedy professor and a long-forgotten treasure! Trouble results when some money mysteriously disappears from the cash register at Whit's End and Connie and Eugene set out to discover why! The gang at Whit's End holds court to determine whether or not the money Isaac found in the woods is truly Rodney Rathbone's. A new detective in town solves the case of why Jessie lost her faith. Jenny Roberts has been kidnapped! Because of her blindness, the criminals think they have found the perfect hostage. Unfortunately for them, her other senses can help identify them. After Jenny (a blind girl) is kidnapped, she finds that she can use her other senses to remember what happened and solve the mystery. 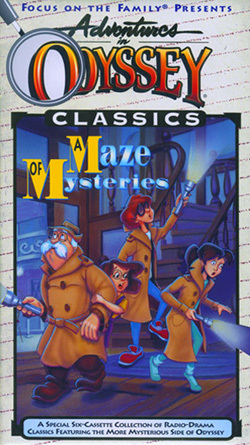 Jenny uses all of her senses (except of course sight) to identify her suspects, as Detective Pat Ethan and Captain Quinn piece together clues.